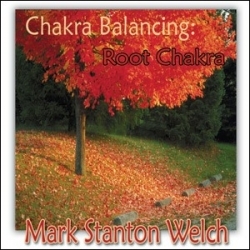 The Chakra system is a remarkable design. Each is frequency and thematic based. It holds certain types of energy in temporary storage with the intention of releasing to return to balance. If we do not respond to the subtle callings of the chakra to clear then the calling increases in intensity until, we can physicalize a dis-eased condition. Clearing the chakras is vital to health and longevity. This is part one of a remarkable 7 part series of all in-body chakra immersions. Using specific tones and frequencies, chants, invocations to Ascended Masters, Archangels, Elohim, and etheric guides, rhythms, spoken word affirmation/proclamations, intentional songs, tuning forks, and more, you are given a powerful resource of clearing and maintenance. Indispensable in today’s hectic, ever changing world. The root is foundation work. Clearing here impacts all other chakras above it.